We design custom product lines, create and manage online web portals, manufacture and ship directly to your VIP guests. Metropro’s team handles all services necessary to offer a turnkey experience for our partners. . There is no financial risk, upfront investment or web development fees and no upfront inventory or minimum commitment! We provide monthly reporting and include administrative access to the back end sales modules so our partners can access live sales information at any time. Our goal is to create a transparent partnership allowing the programs to be adjusted throughout the event or tour. On the landing page guests will chose the product that is bundled with their VIP package.. Ordering is made simple! 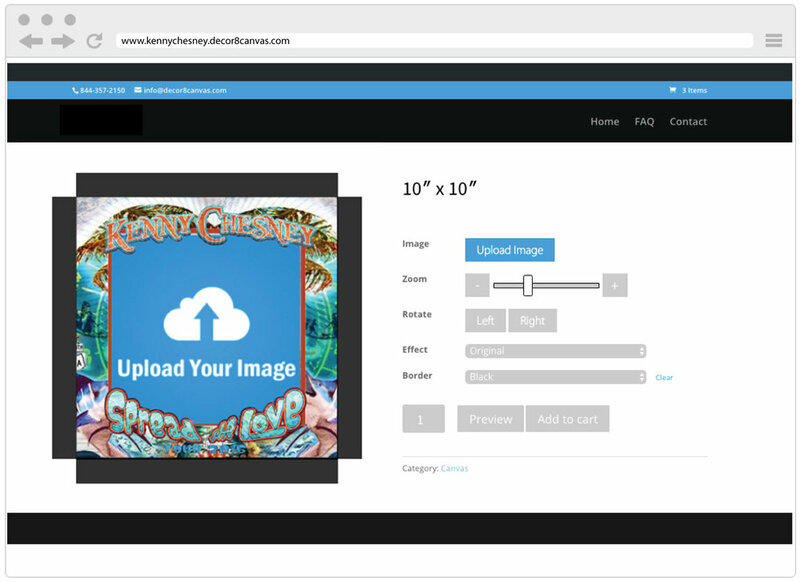 On the customization page the user will either upload their photo or enter their personalized information into afield. After adding to cart the user will be directed to a checkout page.